Richard Burbidge Louvre Doors Available from JAS Timber! 42 Sizes of Richard Burbidge Louvre Door Available to Buy Online from JAS Timber! Now in stock - 18x12" up to 78x30" Pine Open Louvre Doors - Unfinished Pine, ready to decorate to your required colour. Richard Burbidge Louvre Doors are made from a qood quality clear pine, and have a range of internal uses such as wardrobes, cupboards, shutters, and in kitchens. The range has over 37 imperial sizes - heights from 18" to 78" in 5 widths from 12" to 24" and 78" doors in 7 widths. 18 inch Pine open louvre doors are ideal for use as decorative cupboard or wardrobe doors, or for boiler room doors, where good ventilation is needed. 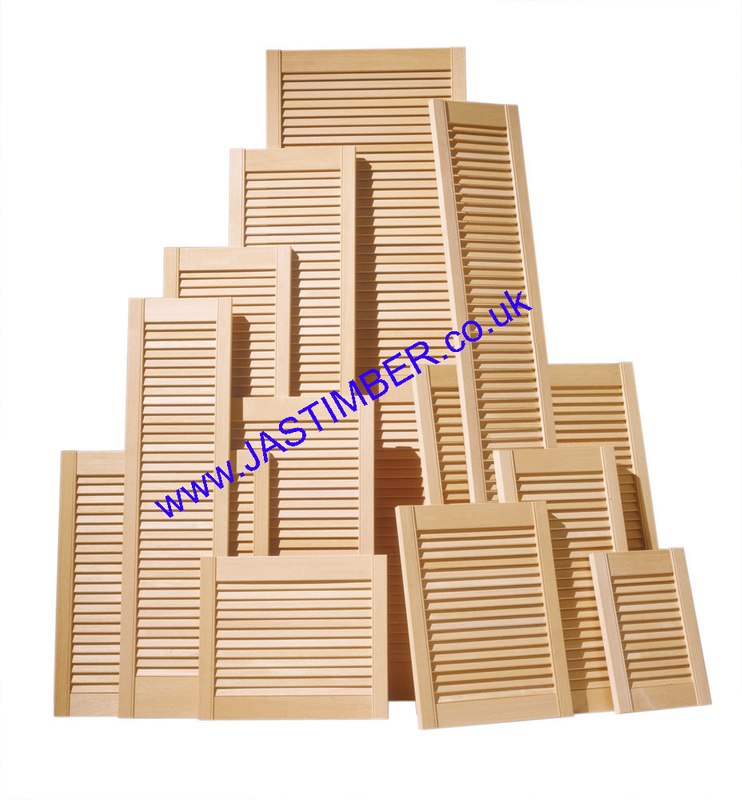 18" - 24" - 30" - 36" - 48" - 60" - 72" & 78" High Louvre Doors, with 5 widths in each height range, available from JAS Timber. View our wide range of Richard Burbidge Louvre Doors and buy online from JAS Timber now!